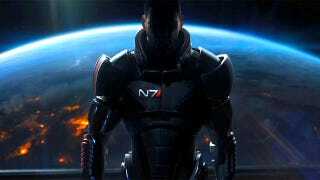 The accidental release of a beta for Mass Effect 3 over the weekend is the least of BioWare's problems at the moment. More worrying is the fact the game's story has leaked online. We're not talking a few clips or scraps of info. We're talking big chunks of the game's plot, packed to the rafters with spoilers. While BioWare says the leak originated from "internal story files" that are "out of date and [do] not reflect the final story experience", they're obviously cautioning fans to look out in forums and the like "if they want to experience the purest form of the story in Mass Effect 3". To show how serious BioWare is about this, members of gaming forum NeoGAF claim the site has been issued with cease & desist letters after users posted some of the information. Mass Effect 3 is out in March 2012. So stay on your toes! Update: NeoGaf head honcho EvilLore confirmed to Kotaku that the site was indeed sent a DMCA violation takedown notice. The notice, he said, came from Microsoft lawyers and was also sent to the ISP hosting NeoGaf, which sort of forced the site's hand. "ISP gave an ultimatum to comply before taking action on their own to remove the content (most likely by unplugging) so that they wouldn't have a part in distributing the alleged content, so I removed the thread. Of course, the information did not originate here and it's already completely saturated on the entire internet by now due to the way the internet works, but it's typical corporate behavior."